Join the Hunger-Free Schools Coalition! Every student, classroom, teacher, and community is better off when kids start the school day well-nourished and ready to learn. 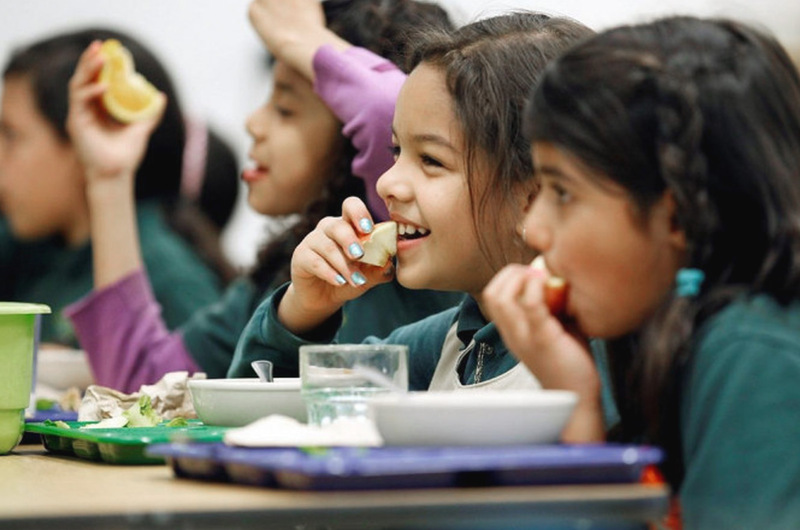 Oregon has the opportunity to become the first state in the nation to offer healthy, tasty school meals to children at risk of hunger at no charge – helping every student learn, grow, and succeed in life! The Hunger-Free Schools Coalition is our response to the need identified by community partners. We listened to voices across Oregon including leaders in education at the state and local levels, including teachers, nutrition service providers, and community leaders. We also hosted 13 listening circles with parents and students in every corner of Oregon, hearing from immigrant families, communities of color, rural households, and more. Why Universal Access to School Meals? Increase future potential. Ensuring kids get healthy food is a critical step on the path out of poverty. This is good for Oregon. When you have stronger, smarter, healthier kids, you have a stronger, smarter, healthier, more economically competitive state. Student Success. Students who eat breakfast at school attend more days of school, show improvements in test scores, graduate at higher rates, and earn more as adults. This is good for kids. When children consistently get the food they need, they learn more. Reduce stigma. Universal access to meals level the playing field for all students. Kids will no longer feel singled out for eating a school meal. They no longer have to choose between hanging out with friends before class or getting their much-needed meal. It’s just classmates breaking bread together. Centers the needs of kids and working parents. In listening circles with parents and students, the idea of universal meals emerged as a key issue. Universal access to meals take some of the burden off of busy parents and families and can ease the stress of the morning routine of buses, transport, and work schedules. Addresses the “Benefit Cliff.” Due to the high cost of housing, 37% of kids in Oregon who experience food insecurity are in households that earn too much to qualify. Learn more about HB 2760-1 (Hunger-Free Schools) and HB 2765-1 (Breakfast after the Bell) in this fact sheet (PDF). Oregon has a historic opportunity in 2019 to give our kids the tools to succeed in school, but we can’t do it alone. Working with our partners and allies, we believe we can make Oregon the first state in the nation to serve school meals at no charge to all kids facing hunger at every public school. To succeed, we need your help. Will you join the Hunger-Free Schools Coalition?